Welcome to Wildflower Week here on the We R blog. 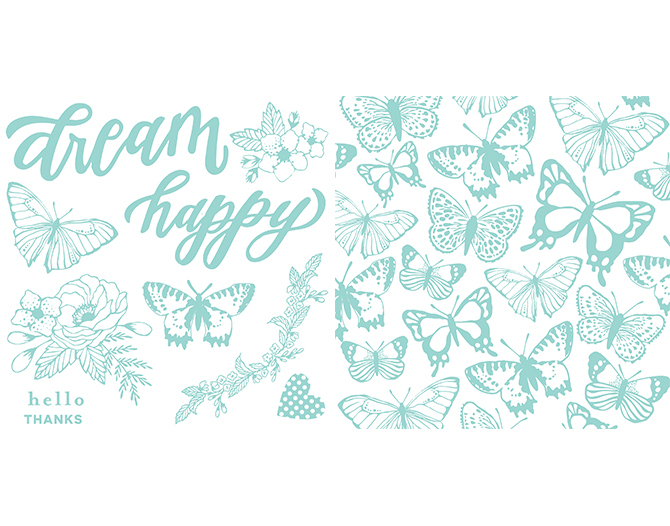 This week it’s all about this gorgeous new paper collection with fun new embellishment options, romantic patterns, and rich beautiful colors. So sit back, relax, and get ready for some eye candy from our design team! Hi We R fans! 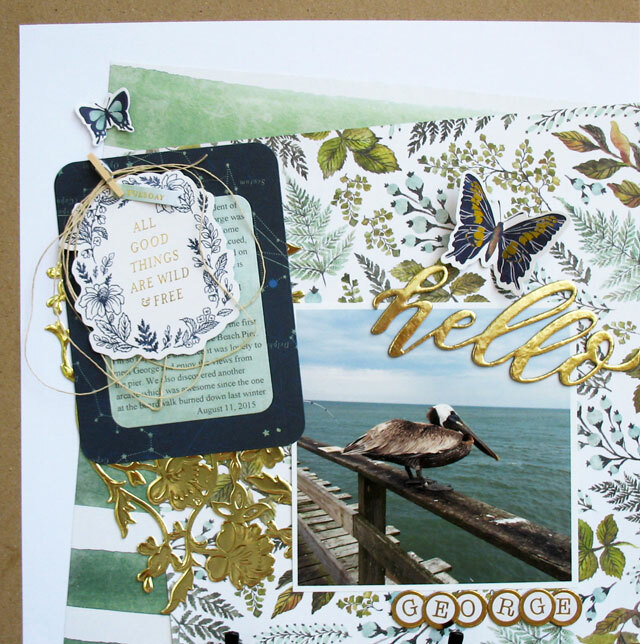 Its Kathy here to share a scrapbook page I created with the lovely new Wildflower collection. 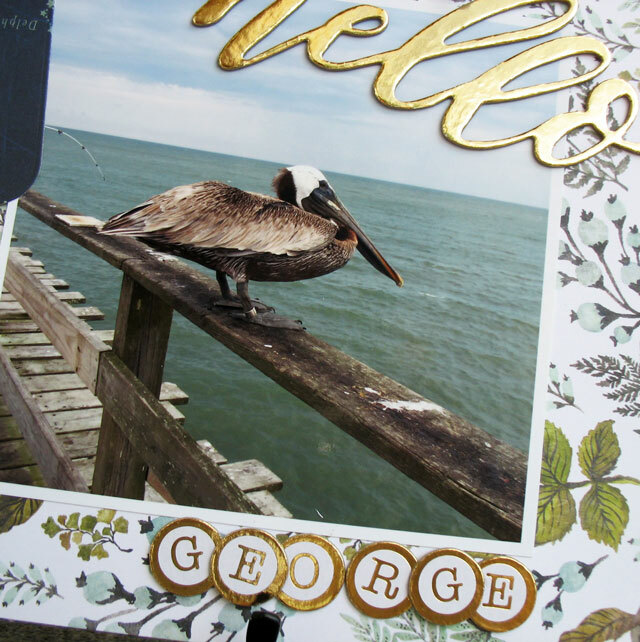 The gorgeous patterned papers and die cut quote from this collection turned out to be perfect for a scrapbook page about George, a pelican we met during our annual beach trip this summer. Unfortunately this beautiful bird found himself tangled up in fishing wire. Thankfully he was rescued, rehabilitated and returned to the wild. Now George is often found at the Kure Beach, North Carolina pier hanging out with the fishermen, begging for fish and having his photograph taken by tourists. And his picture scrapbooked by yours truly. Wink. Thank you all for joining us this month for our 30 Days Of Evolution event! We’re so glad we could share the amazing features of the Evolution Advanced, plus some project inspiration with you over the last month. We hope you enjoyed learning more about this versatile tool, and that you got some fresh ideas to try. Congratulations Regina! Please send an email to alydosdall@gmail.com with “Letterpress Winner” in the subject line. Include your full name and mailing address and we’ll get you your goodies as soon as possible. Thanks to everyone for entering! Next week on the blog we’ll be featuring one of our new paper collections, Wildflower. Be sure to stop by for lots of project inspiration and ideas. Enjoy your weekend, and we’ll see you then! Hi! 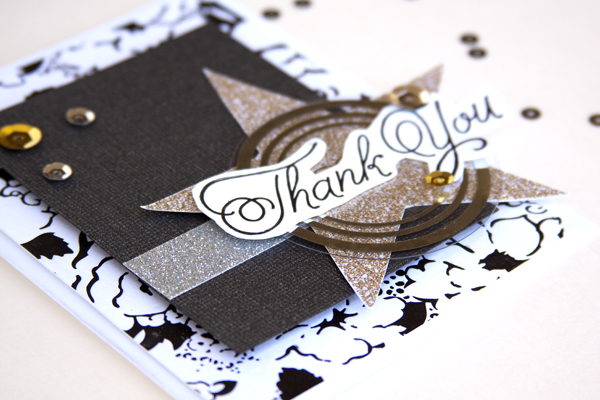 Aly Dosdall here again to share a simple but elegant flat thank you card made with the Lifestyle Letterpress Kit and the Evolution Advanced. This card would make a great thank you for shower, wedding, or graduation gifts. It’s simple design would make for easy bulk production, and you could change up the colors to fit with the color scheme of your event. 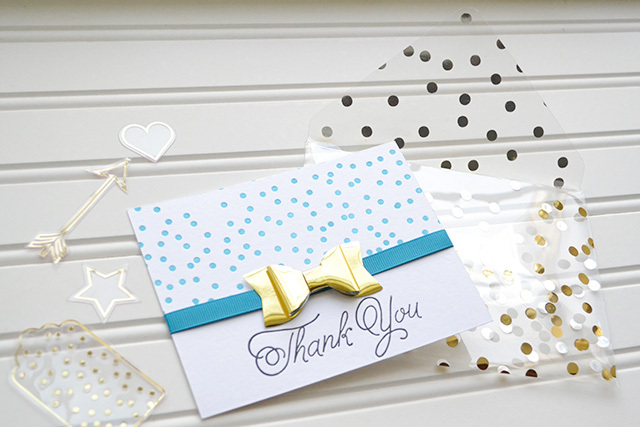 I used the confetti style background plate on the top half of the card with blue ink, and then the Thank You sentiment plate on the bottom half of the card with black ink. 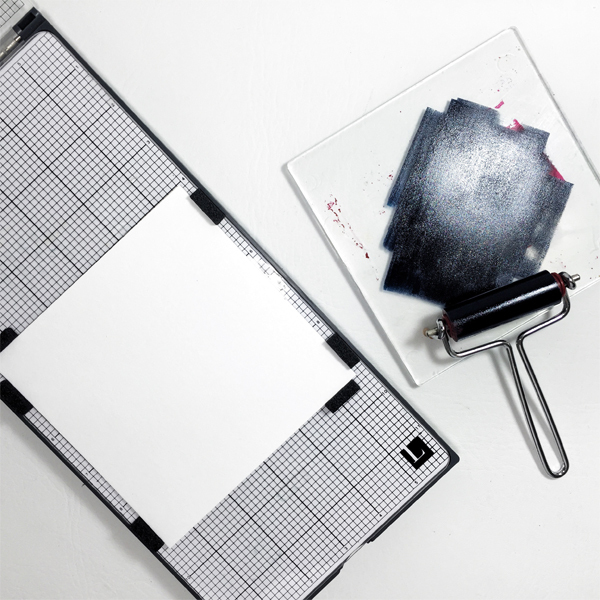 Designer tip: using the Ink Guides helps to avoid unwanted ink from getting on the letterpress platform and plate while applying the ink. 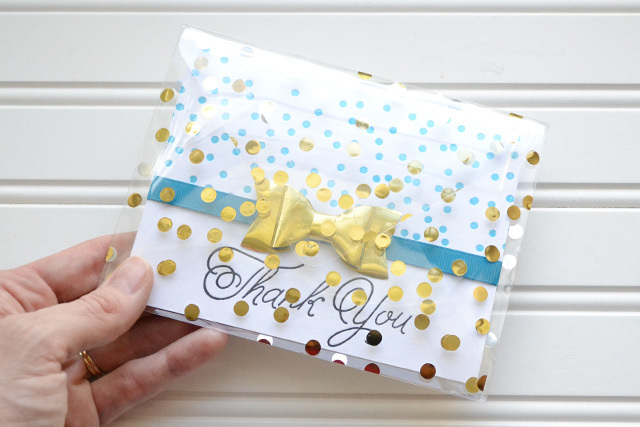 To finish off my project I wrapped some 3/8″ grosgrain American Crafts blue ribbon around the flat card, and then added a gold metallic plastic bow from the Clearly Posh collection. This card looks extra elegant inside a gold foil printed acetate envelope made from the Clearly Posh collection using the 123 Punch Board. 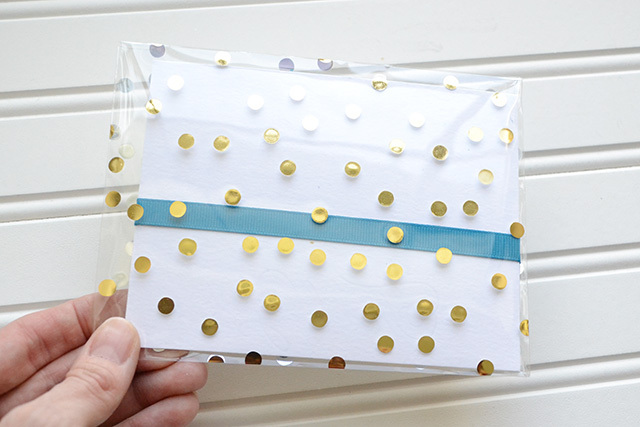 Place a permanent glue dot underneath one of the gold foil polka dots to secure the top flap of the envelope, and you’re ready to deliver your card! 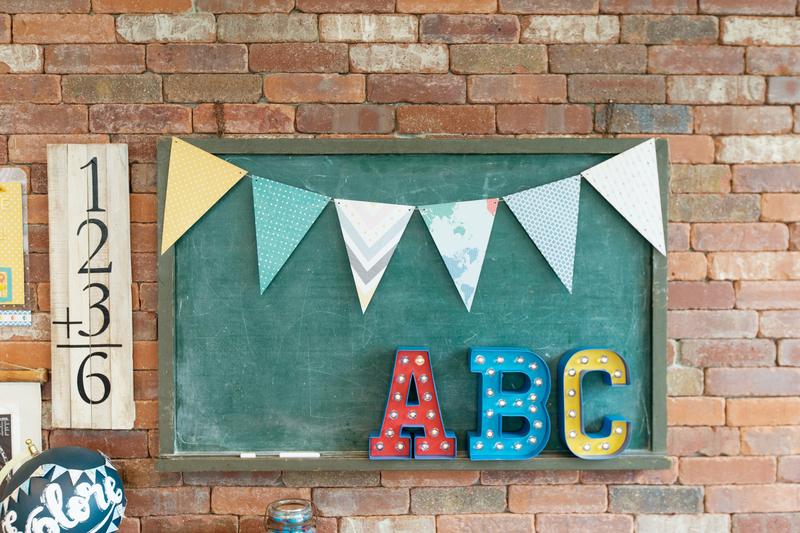 If you enjoyed our Back To School inspiration post on Tuesday, you’re going to love what we’ve got to share with you today! Our talented in-house team knocked themselves out again with some adorable school-themed projects using some We R tools and papers. Check it out! Our new Clearly Posh collection adds some extra sparkle to these Heidi Swapp Marquee Numbers. 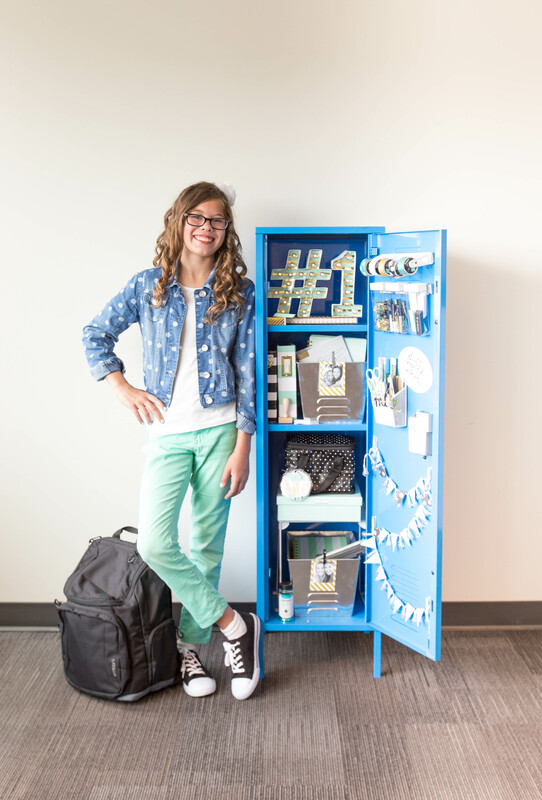 Perfect locker decor for your tween or teen! 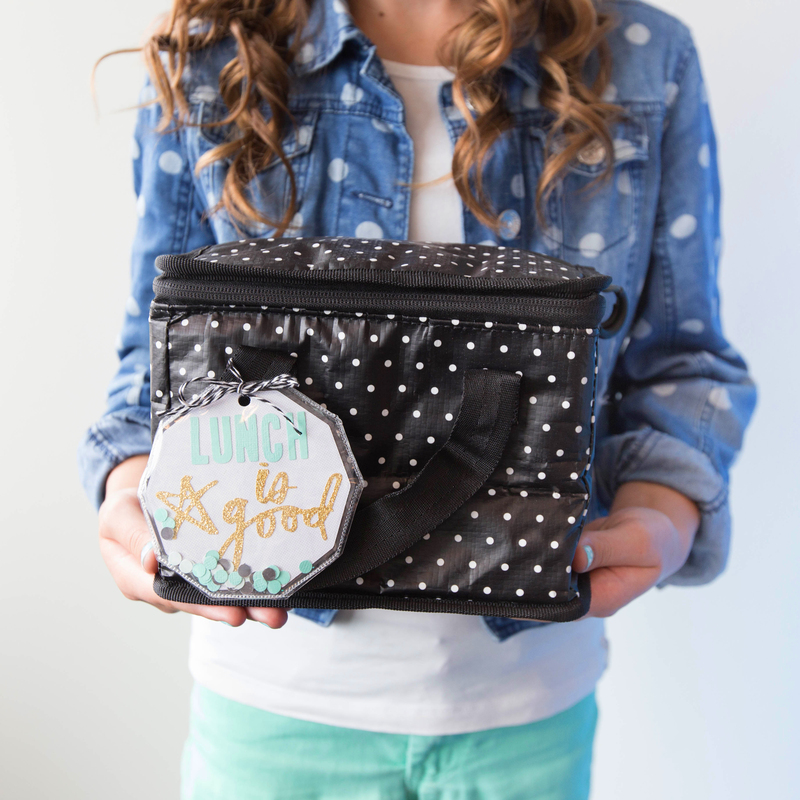 Personalize your child’s lunchbox or backpack with a luggage tag made with The Fuse tool. How fun is that confetti added to the tag? 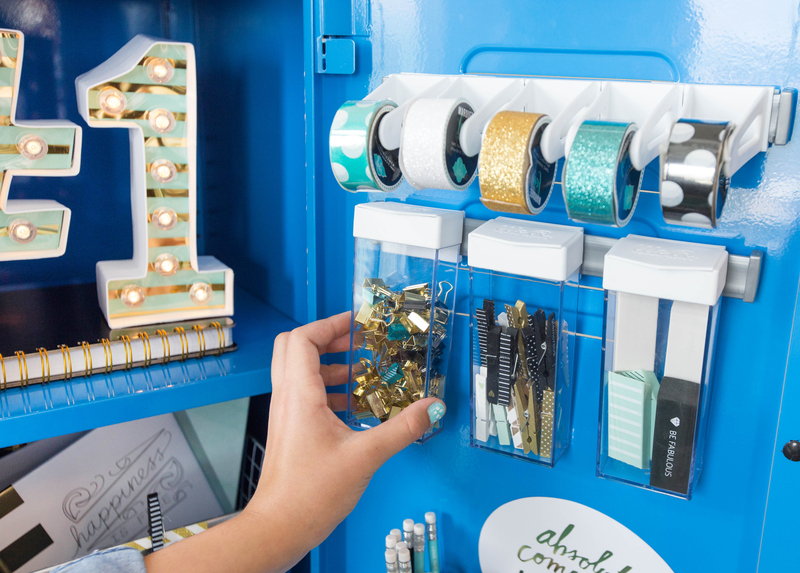 Keep your student’s school supplies organized with our versatile new Snap Storage. Use Command Strips to mount the clips and bottles to your surface. Easy peasy! 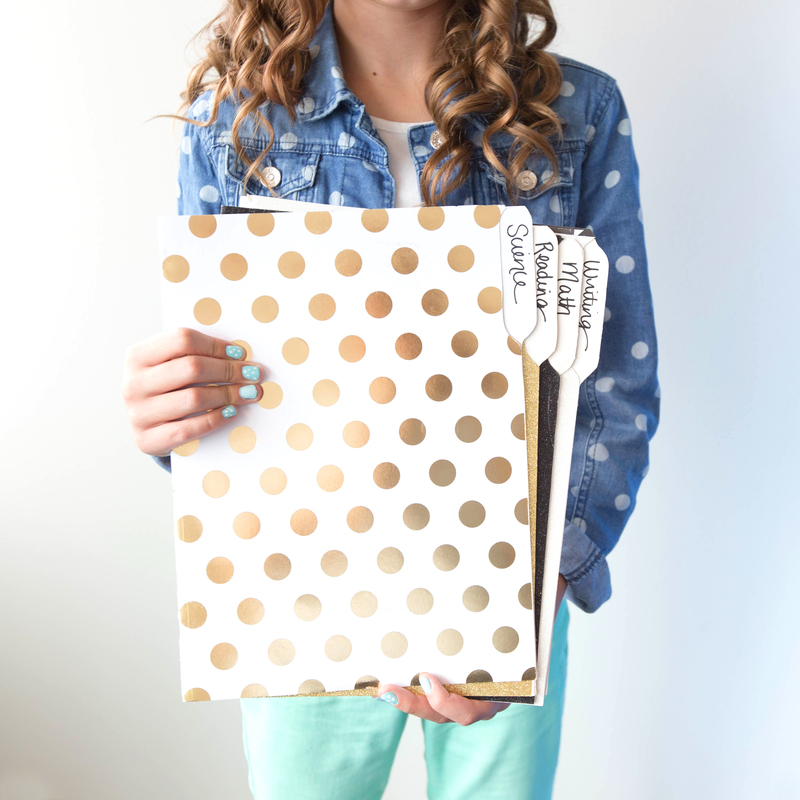 Make cute custom folders to keep papers organized with the Template Studio and Designer Poster Board. Love those gold polkas! 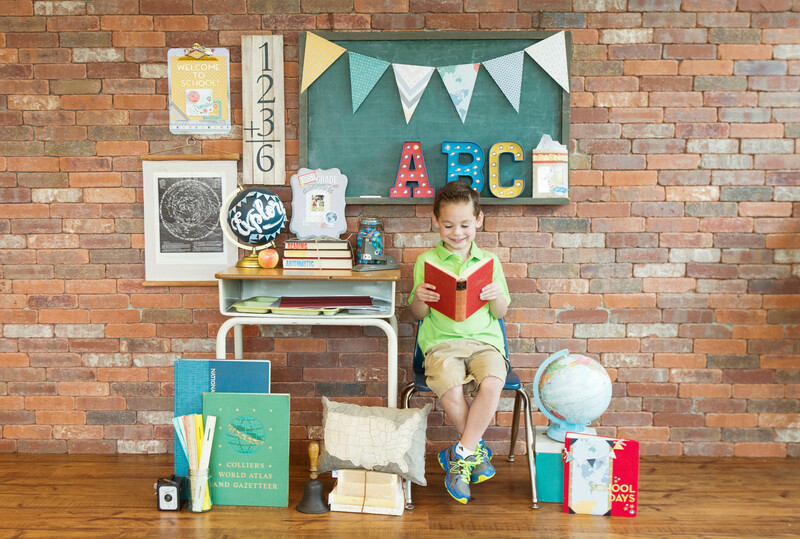 Let We R Memory Keepers take you back to school this year, keeping your student’s supplies organized and looking awesome! Hello, We R fans! 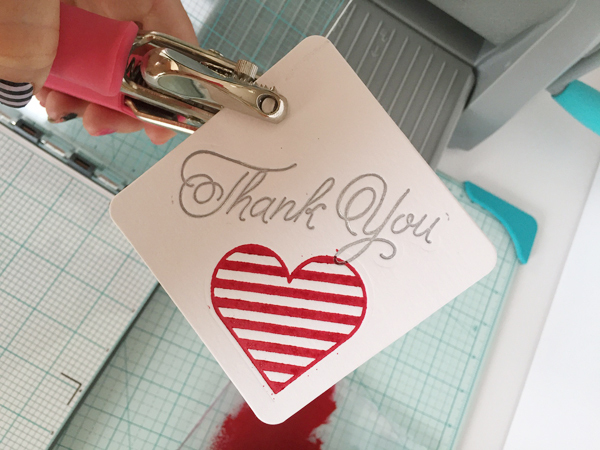 Jen McDermott here, sharing some fun tags I created using our Letterpress system. There’s no need to be intimidated by letterpressing; WeR makes it super easy to create trendy, top notch pressed goodies, using the Evolution Advanced, and a special folding platform. For today’s projects, I made a variety of gift tags using a few different letterpressing techniques. First, I created a very basic tag to get warmed up. 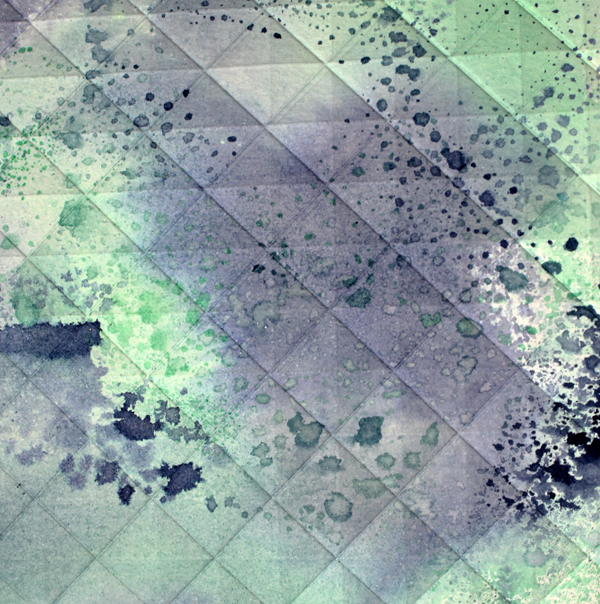 I used one of the larger, background plates that are usually good for big areas. Using a small piece of double-stick tape that comes in the letterpress kit, I stuck the plate onto the flippy side of the letterpress platform. Designer tip: you can use the same piece of tape for several different plates. Just leave it on the platform and reuse it until it’s no longer sticky. Then, I squeezed out a SMALL amount of letterpress ink. This ink is thick and sticky, so a little goes a LONG way. 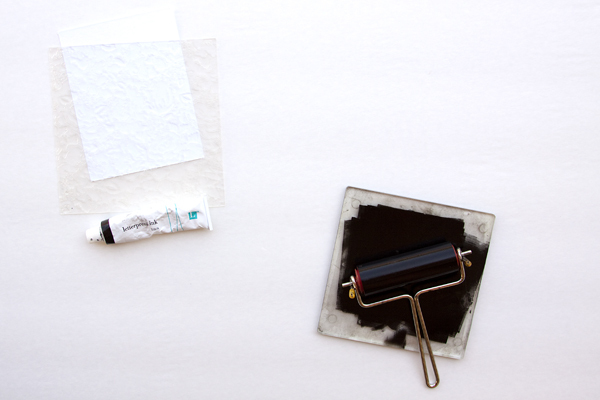 Make sure to roll your brayer around in the ink in several different directions, so you are left with a thin layer of ink on your brayer; no lumps. 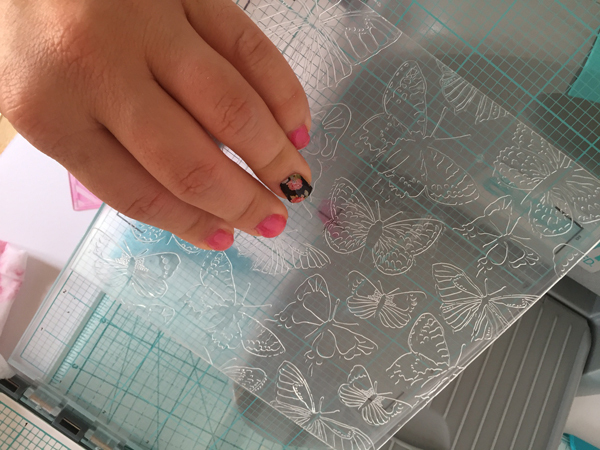 Then I rolled the ink onto the plate, using light strokes, and going over the plate till I was satisfied that all of the butterflies were covered with ink. Then I aligned my paper in on the platform, folded it shut, and rolled it through the Evolution Advanced! 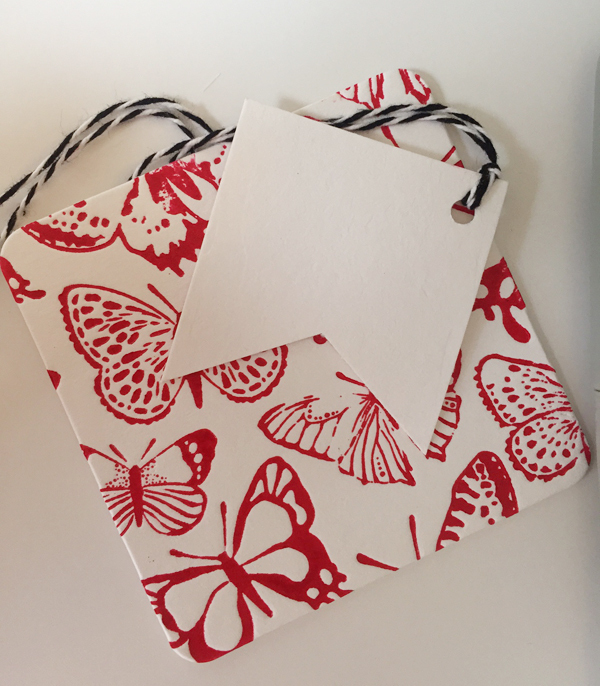 What came out was a super cute, pressed butterfly square, that would look GREAT layered under a smaller, simpler tag. You can also run your tags through the letterpress platform more than once, if you want to add a second color to your paper. 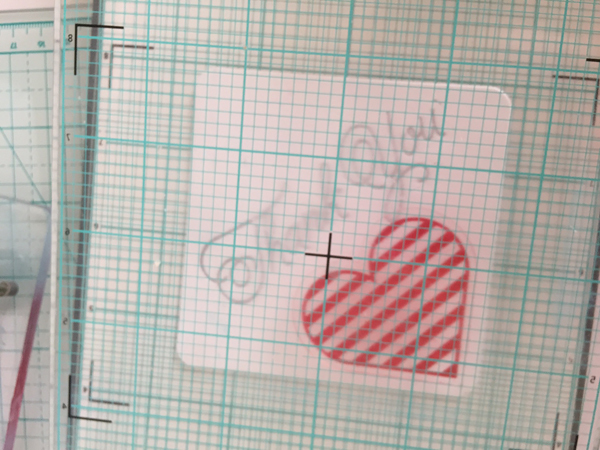 I had this thank you tag already pressed in silver, but ran it through the Evolution again, this time adding a Hot Pink heart. I used my Crop-a-Dile to punch the hole in the paper, and voila! A two-step tag. Next, I went the clean and simple route by making a couple of tags using no ink; just the plain letterpress plate. I used the same process as the previous tag, I just didn’t use any ink. I was left with a couple of very chic, clean white tags that are good for dressing up cute, storebought gift bags. 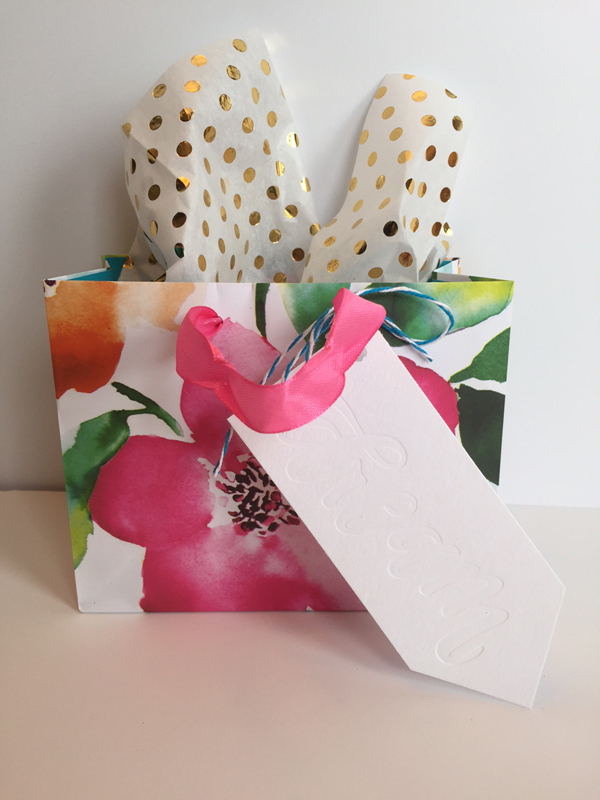 I used my 1, 2, 3 Punch to make a gift bag using paper from the Wildflowers collection. I jazzed it up with a doily and some ribbon, and attached a tag I letterpressed then shaped into a banner. 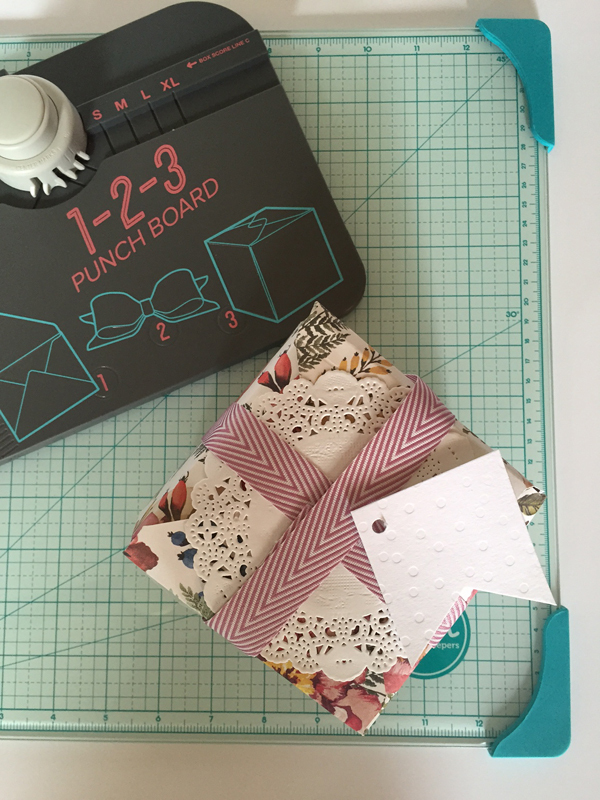 I hope you have been inspired by all of the fun ways you can dress up your gift tags easily, by using your letterpress platform! 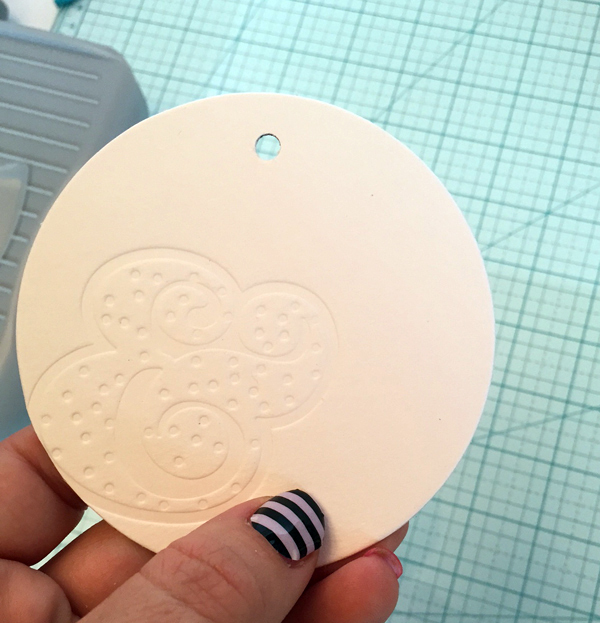 I can’t wait to make bulk tags for Christmas gifts! 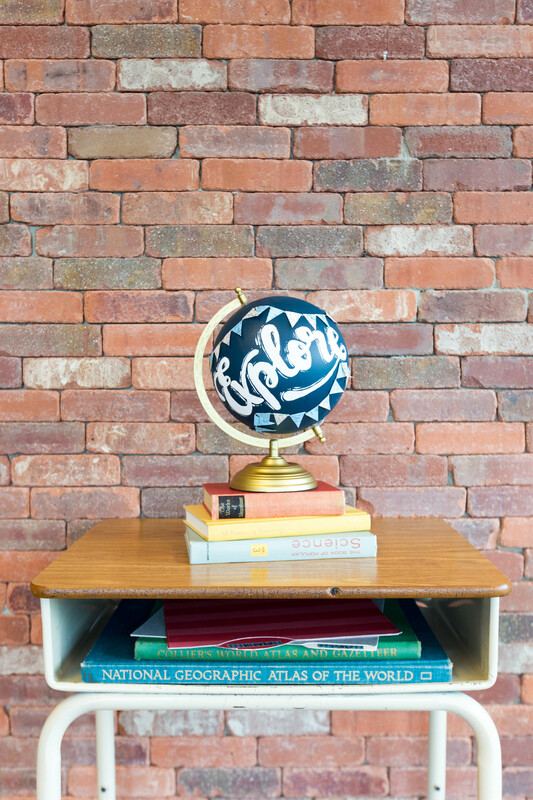 What do you use your letterpress platform for? Share with us on our Facebook page! 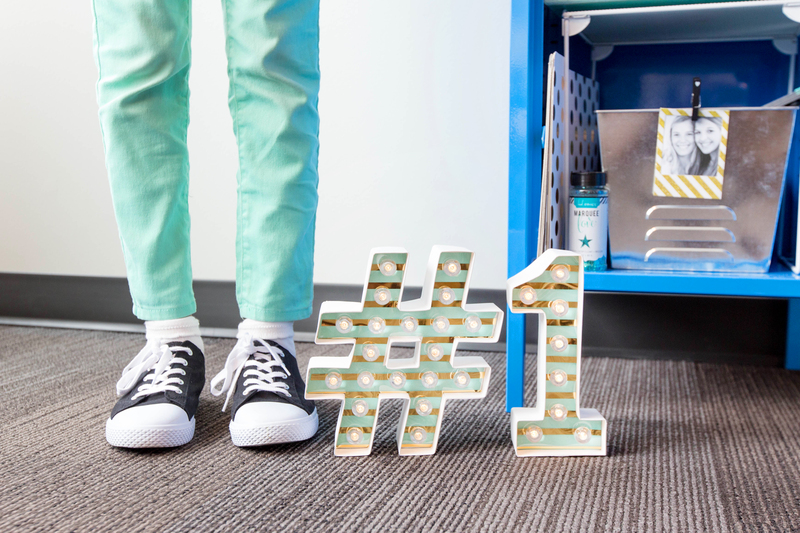 We interrupt our 30 Days of Evolution to bring you a special post full of back-to-school inspiration from our amazing in-house design team using some of your favorite We R Memory Keepers tools. 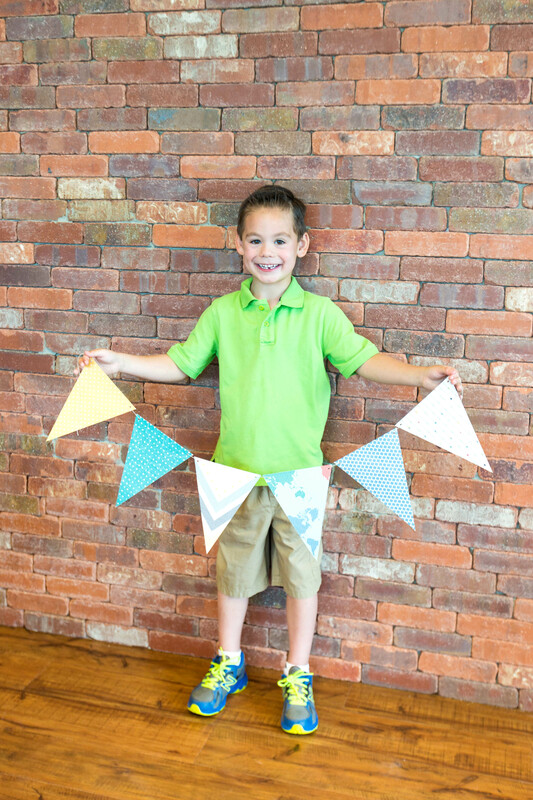 This simple banner made with the Banner Punch Board adds so much to the vintage school feeling of this scene! And take a peek into the old school desk. Can you see the custom folders made with the Template Studio? Love that you can make your own folders! 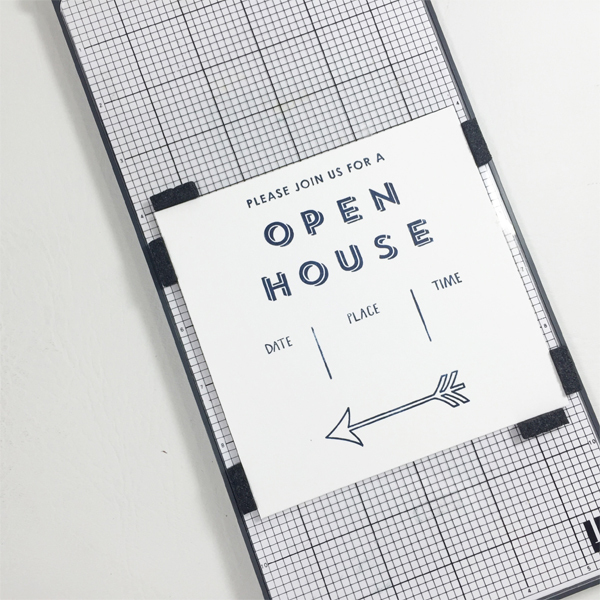 Aimee here sharing an invitation I made for an open house, using the Evolution Advanced and Letterpress Platform. I wanted to make something to share other than a party invite. 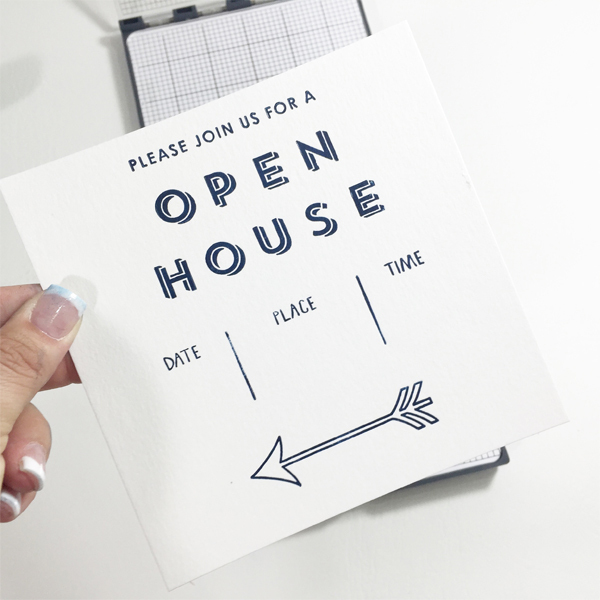 So with the few letterpress plate sets I have, I decided on a generic open house invite. I mixed 3 different sets to create this invite. 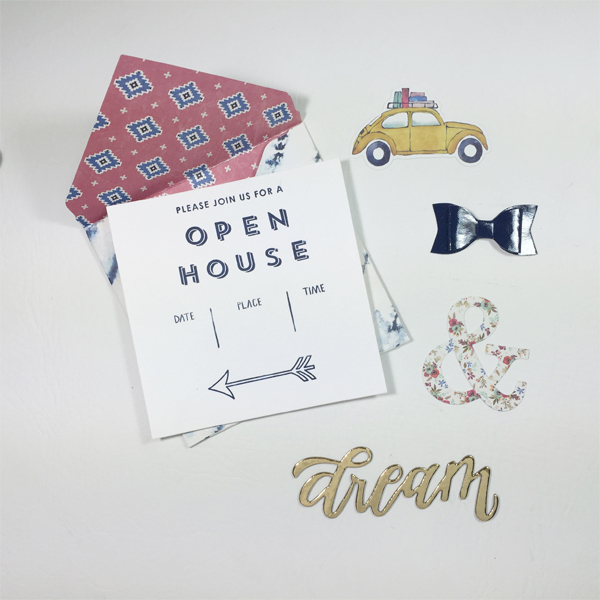 Clearly Posh for the arrow, Floral Invite for the “please join” and Date/Place/Time plates and Block font for the OPEN HOUSE. I had some square Letterpress paper that measures 5.25×5.25 that seemed perfect for these quirky invites. I set the plates up on the top side of the platform. I used some clear adhesive for each plate so it would stick to the lid, but I can easily remove when I am done. I then lined up the paper on the bottom half of the platform and used some foam guides to hold the paper in place. Using the Navy ink I carefully squeezed a small amount onto the ink base and rolled the brayer in the ink to get it spread around. 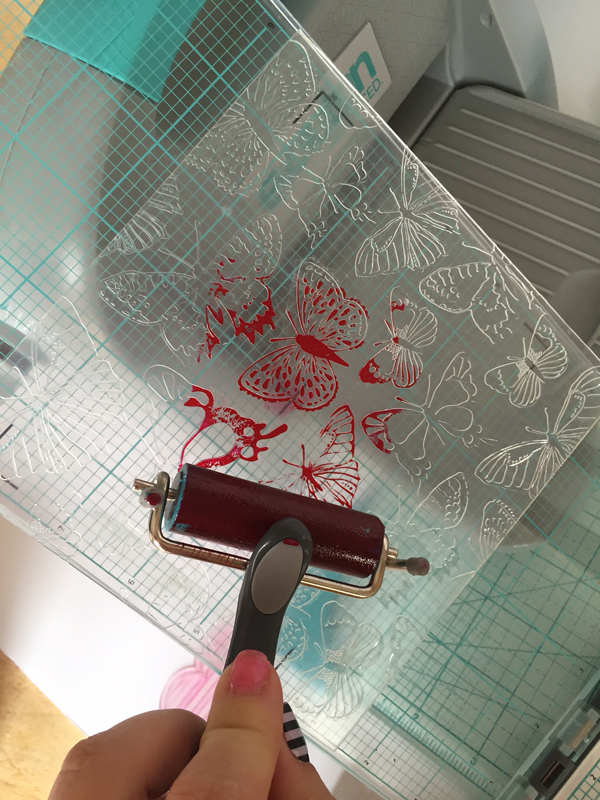 Using the brayer, I carefully rolled a layer of ink onto the plates, cleaning any ink that got misplaced with the letterpress cleaning wipes or use the cleaning solution sprayed onto a paper towel. 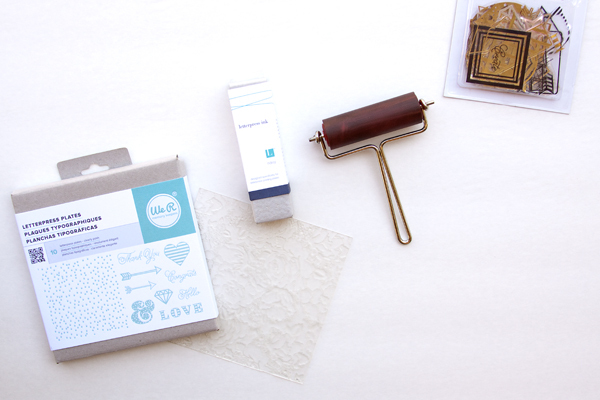 Carefully close the lid and place letterpress tray into the evolution, viola you now have a cute letterpress card. 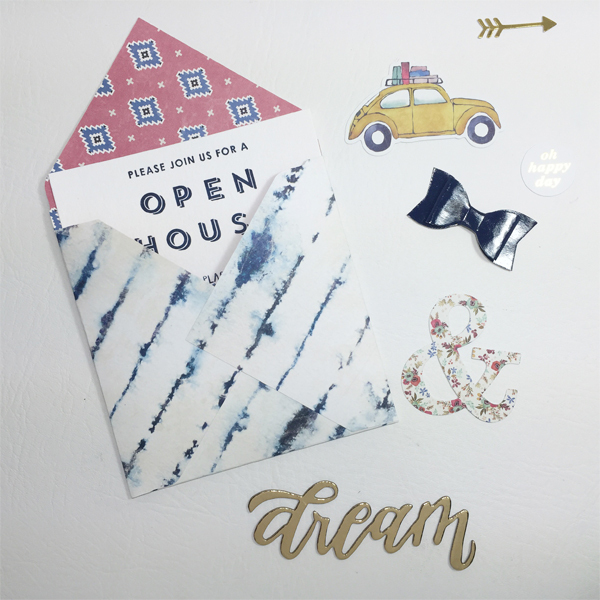 How cute is this invite, what I love about it you can use it for showing a house, just to have friends over, or even for a school function. 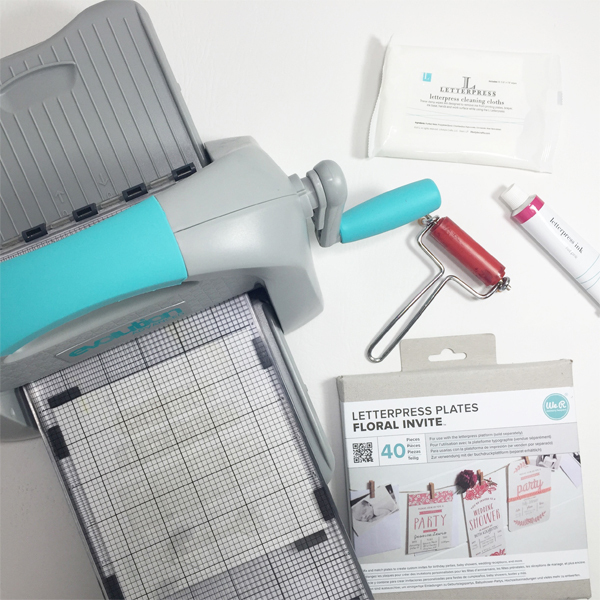 What will you use the letterpress for? Hello! 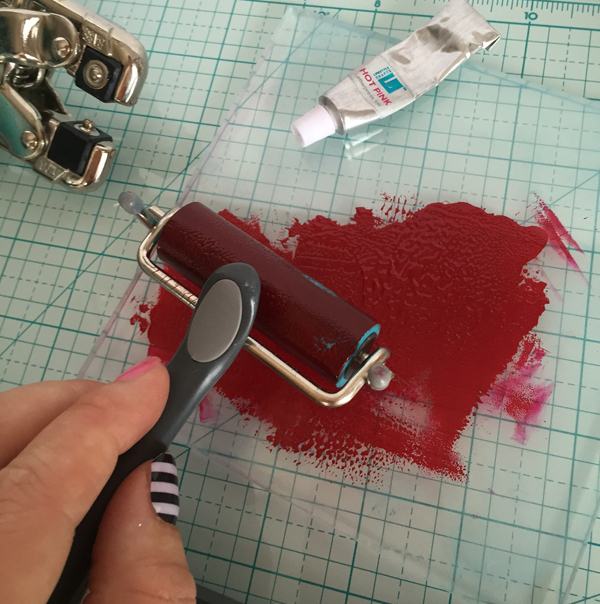 Jennie here, and I’m so excited to share a project with you today using one of my favorite techniques, letterpress! I’ve been using the WeRMemoryKeepers Lifestyle Letterpress for a few years now, and I absolutely love the rich look that only letterpress can create! 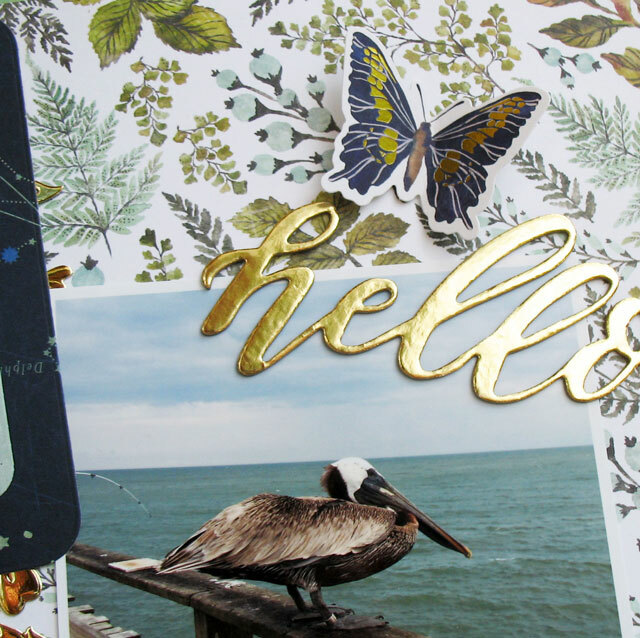 I created a card to share with you today, and I’d love to walk you through how I created it. First, I gathered a few supplies for my project. I wanted to create a very luxe card, one that feels fancy and sophisticated. Luckily, We R Memory Keepers has several items that are perfect for this. To start I pulled out my Lifestyle Letterpress, Black Letterpress Ink (I first grabbed the navy, which is why you see it here, then I changed my mind and switched for the black), the Floral Letterpress plate, the Clearly Posh Letterpress plate, the Clearly Posh ephemera bits and, of course, my Evolution Advanced! I inked up my letterpress base from the Letterpress kit with the black ink and got to work inking up my floral plate. I also used the black ink for the sentiment from the Clearly Posh Letterpress set, which was perfect for the classy look I was going for. Now, it was time to get to assembling my card with the letterpress pieces, ephemera and other shiny products! While I was assembling I realized that I had a Teresa Collins Albums Made Easy set that would be perfect for my theme. Add in a few We R Memory Keepers adhesive sequins in silver and gold and the card was complete! With the help of a few foil + sparkly items from We R Memory Keepers, I was able to create a luxe card fancy enough for any recipient! Are you using any of our metallic products in your projects? Make sure you tag us on Instagram so we can see your beautiful creations! Happy Friday! Samantha here to share an Evolution Advanced project with you. 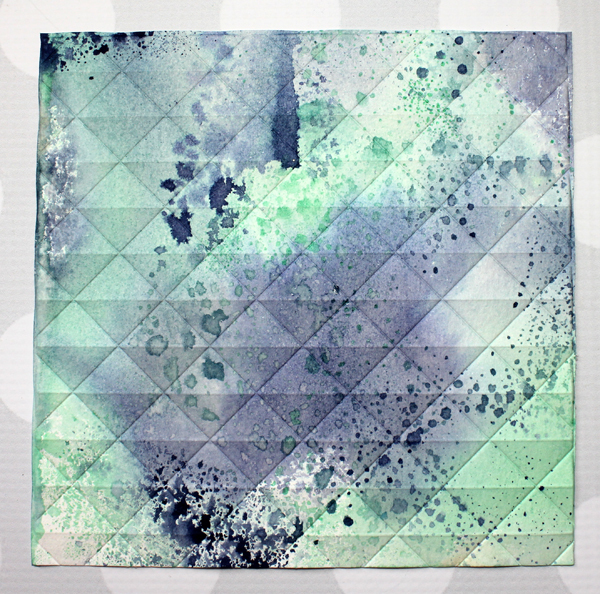 Today I’m using one of the embossing folders from the Next Level Geometric Embossing Folder set to create a home décor piece. 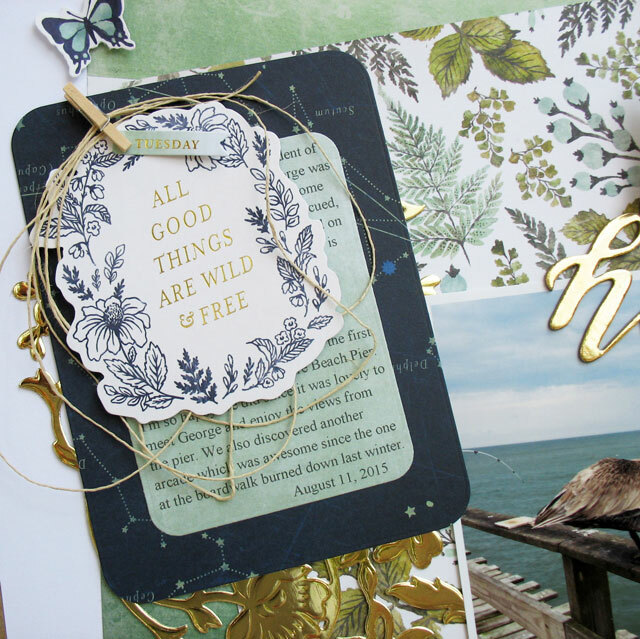 Usually, I use embossing folders with solid colored card stock, but embossing folders can add some really stunning texture to patterned or painted paper too. 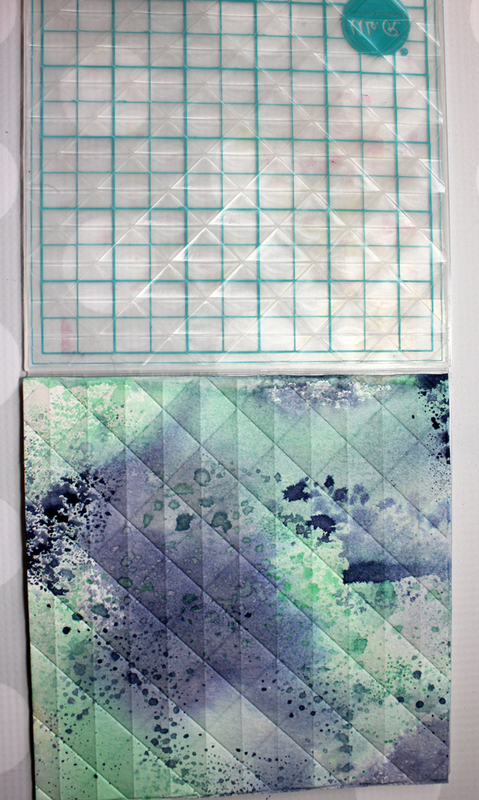 I decided to pair the Geometric Embossing Folder with some paper that I water colored with paints. I’m not the best at water coloring, I pretty much just paint, add water, and flick paint at the paper until I have something that looks interesting enough. I was going to need a piece of paper that is 6” x 6”, but I painted a 7” x 7” piece of paper so I could trim down the paper to pick the section I liked best. Make sure your paper is completely dry before trimming it down and running it through your Evolution. 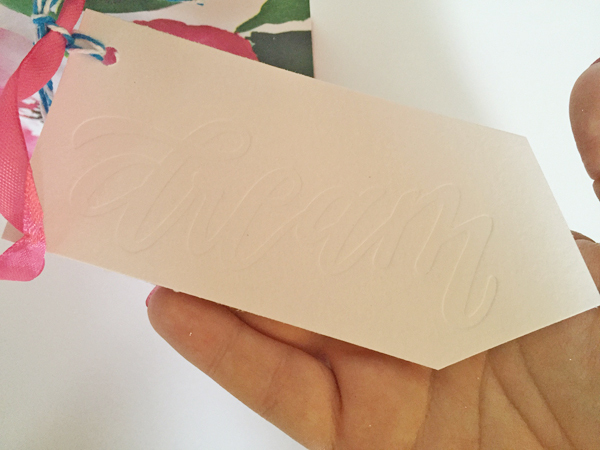 This will give you the cleanest embossed lines without the risk of tearing your paper. I absolutely love the amount of dimension you get from the Next level folders. Pictures just don’t do them justice! I wanted to add a little more to this embossed pattern. If you look closely at the photos above, you can see a horizontal line running through the embossed diamonds. I wanted that line to run both vertically and horizontally through the diamond. After running it through once, I rotated the paper 90 degrees and lined up the diamonds so they were in the same place. 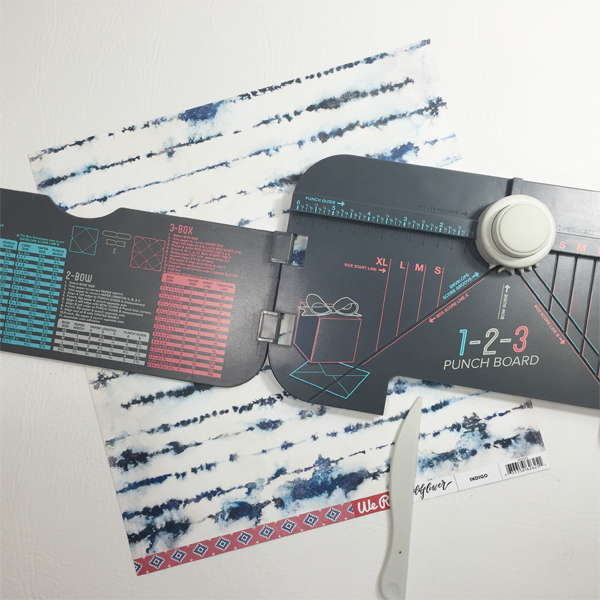 If you look closely at the photo below, you can see that the center lines on the embossing folder run horizontally while the ones on the paper are running vertically. After running the paper through a second time, you have a pattern that looks like the photo below, where the lines through the diamonds run both vertically and horizontally. 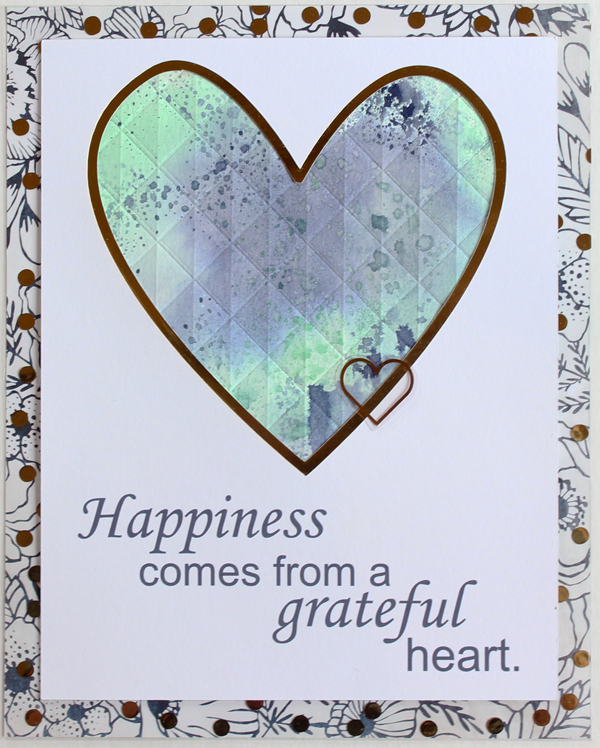 I used my home printer to add, “Happiness comes from a grateful heart” on a sheet of 7”x 9” white cardstock. Then I cut a 5 ½” heart out from the paper and layered up some gold paper and my embossed piece of cardstock inside of the heart. I matted the whole thing with a piece 8” x 10” Wildflower Road Trip paper that I overlaid with Clearly Posh Confetti Gold Dot paper. All of this was put in a decorative frame, so I can hang it on my living room wall. 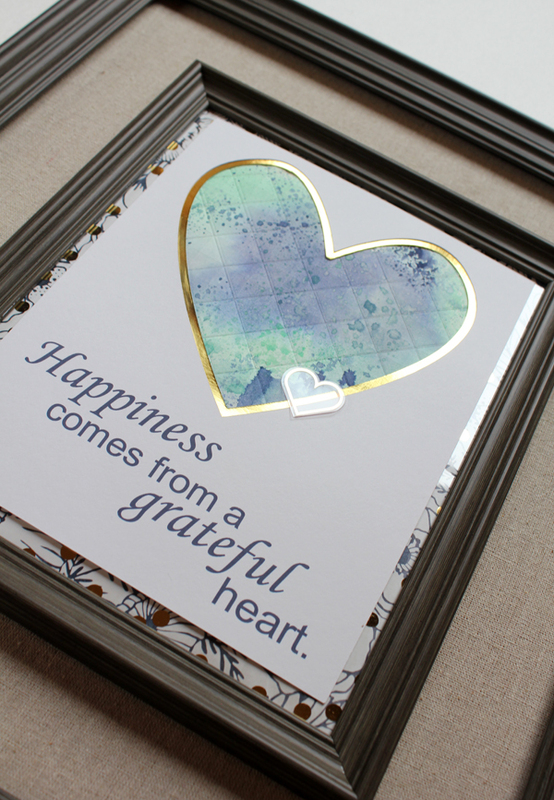 It’s a fun piece of home décor, and the embossed heart really adds some great texture to the piece. 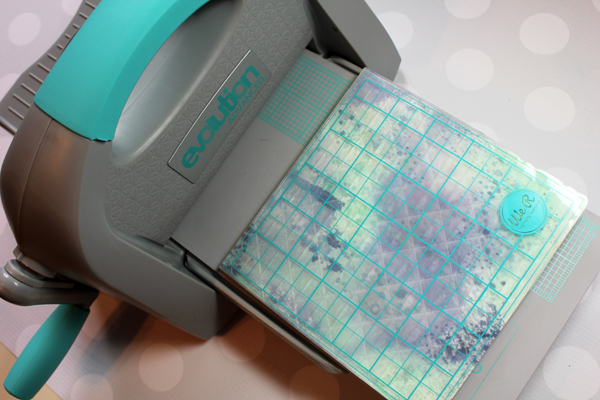 Have you tried the Next Level embossing folders yet? 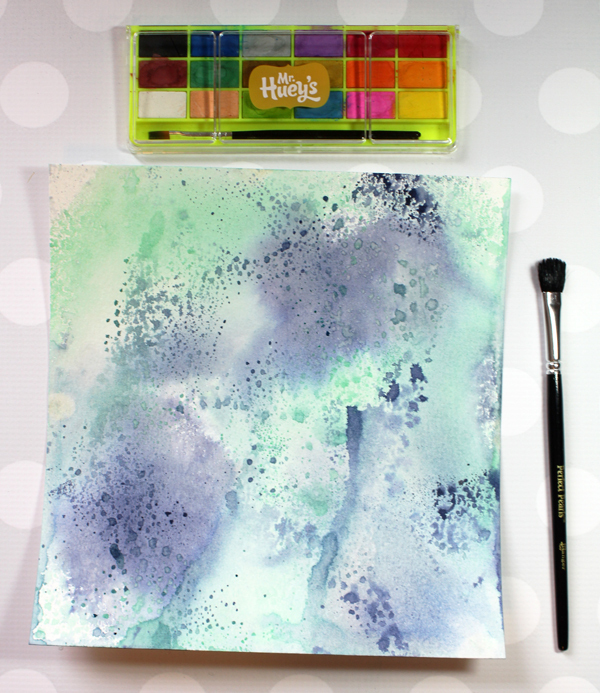 Do you usually use them on solid colored card stock, or do you like to use them on patterned or painted paper? I’d love to hear your thoughts in the comments! 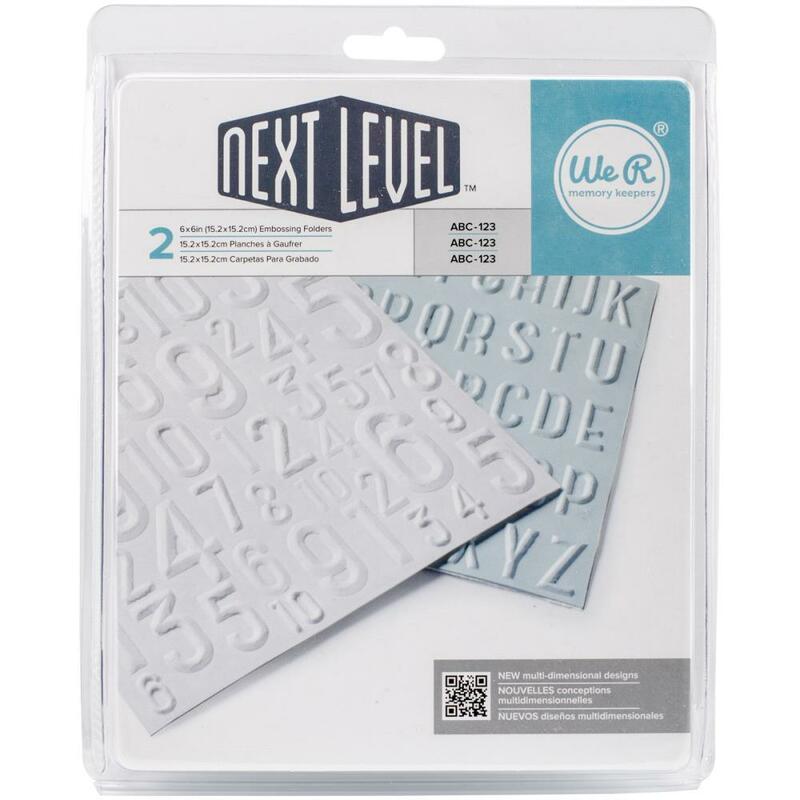 Next Level Embossing Folders Winner! OH, what a new way to emboss!! LOVE the idea. Can’t wait to create with items like this. Congratulations Chris! Please send an email to alydosdall@gmail.com with “Embossing Folder Winner” in the subject line, and we’ll get you your prize as soon as possible. Enjoy!